My 1-2-3 Cents : What's Missing? 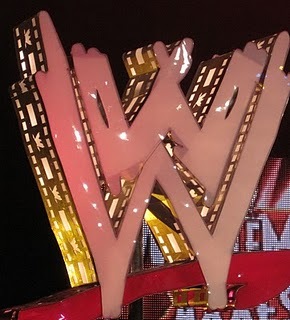 In preparation for Wrestlemania 27 (if you haven’t figured it out yet, there’s probably going to be a lot of blogs dealing with Wrestlemania over the next four weeks) I have been re-watching the previous 26 Wrestlemanias in order. I say watching, but really I mean they’ve been on the TV while I’ve been home. It’s interesting to see the changes in how the show is presented from when it started through the course of the peaks and valleys of wrestling’s popularity. Kevin and I are hoping to do a tag team blog where we share our memories of each Mania. So, stay tuned for that. Watching 14 and 15 back to back I was once again struck at the difference between the Attitude Era and the Cena Era. Wrestlemania 14 unofficially started the Attitude Era with Steve Austin’s World Title victory over Shawn Michaels. Wrestlemania 15 was the epitome of Vince Russo booking. Twists and turns that were unnecessary, and a main event that resembles every TNA title match to date. But there’s something about those shows that is missing from today’s pay per views. Every match, no matter who was involved, had the crowd behind it. Matches that include Marc Merro/Sable vs. Goldust/Luna Vachon, Taka Michinoku vs. Aguilla, and Butterbean vs. Bart Gunn. The crowd treated these matches not like they were main event matches, but like they mattered just the same. Now if John Cena, Randy Orton, Triple H or the Undertaker aren’t in a match, the crowd treats any match as if it’s Iron Mike Sharpe vs. Rusty Brooks in a 30 minute Iron Man match. As much as I don’t think Vince Russo is a good writer, I have to give him credit for trying to make everyone on the roster have a reason for being on the show. Compare Bob Holly’s WWE career to Ted Dibiase’s current career. Both men are technically sound without being flashy and have limited personality. The difference between them is Bob was put in angles and storylines where he occasionally won a match and he had a defined character. When was the last time Ted Dibiase was presented in that way? Give me one good reason why anyone in the crowd should pay attention when The Million Dollar Kid steps out from behind the Titontron? Even when you have guys that appear to have the company behind them, most of the time they are nothing more than punching bags for the main event talent. Take the Nexus as example number A. When the Nexus was formed they destroyed the ring, everyone around ringside and John Cena. Things looked promising for the group of rookies. Then they got starting having matches against John Cena and have never looked like they were worthy of holding the now defunct European title much less a title still in existence. When CM Punk took over as leader of the New Nexus there was hope the group could be salvaged. Instead, every member not from Chicago has been Randy Orton’s whipping boys and the group will be lucky to get a backstage segment at Wrestlemania 27 much less a match on the show. Not only are guys presented as second-rate wrestlers; they are also presented as faceless beings. Sticking with Nexus, each member of that group had a distinctive look but once they left NXT, they were never given the opportunity to showcase a personality. What’s the difference between Nexus, or the Corre, or Tyson Kidd? The only undercard wrestler to show personality is Zack Ryder. Unfortunately, if you want to see The Long Island Iced-Z’s personality you have to go to his youtube channel because he isn’t getting to show it on Raw or Smackdown. What brand is he even on? Why aren’t guys given a chance to show some character? As I type this, I’ve started watching Wrestlemania 2000 and have seen more characters in the first three matches then I’ve seen in the last three years on WWE programming. Al Snow and Steve Blackman, collectively known as Head Cheese just lost a match to Test and Albert (T&A). While no one would have ever expected either team to be the next Rock N Roll Express, Rockers or Hart Foundation, the crowd was into the match and cheered on Head Cheese while booing T&A. I don’t know what the issue is behind the scenes. Are there not enough writers to write for everyone on the roster? Does writing, Main Event: John Cena wins, on the run down take so much time there’s no time left to write compelling stories for anyone else? Does upper management simply not care about the guys who could be the future of the company? After reading the spoilers for this week’s Smackdown, I have some serious questions about this year’s Wrestlemania’s undercard. But I’ll save that for next week. Is it fair to lay the blame on the creative department? It’s easy to say the likes of The Rock or Steve Austin only come around every so often, and without that extreme larger than life personality on top drawing the crowds in the lower guys suffer the apathy of the crowd. Or is it because there are no compelling stories being told anymore. Or maybe it has to do with a combination of the same guys getting all the promo time and there being a lack of catchphrases for the crowd to chant along with preventing the fans from getting invested in the wrestlers. Whatever the case, there is some element missing from today’s WWE product and until it if found and replaced, fans will always clamor for "the good old days."